An increasing problem throughout the world, plagiarism and related dishonest behaviors have been affecting Indian science for quite some time. To curb this problem, the Indian government has initiated a number of measures, such as providing plagiarism detecting software to all the universities for free. Still, however, many unfair or incorrect papers are published. For some time, publishers have used an efficient tool to deal with such situations: retractions. 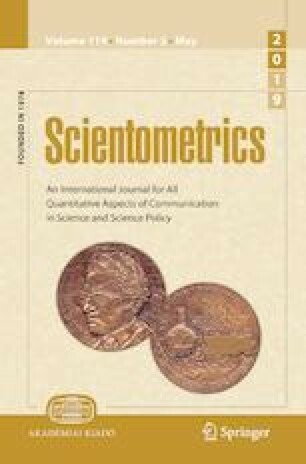 A published paper that is later discovered to not deserve publication—which can be for a number of reasons—can be withdrawn (and often removed from the online contents of the journal) by the publisher. This study aims (1) to identify retracted publications authored or co-authored by researchers affiliated to Indian institutions and (2) to analyze the reasons for the retractions. To meet these aims, we searched the SCOPUS database to identify retraction notices for articles authored or coauthored by Indian authors. The first retraction notice was issued back in 1996, an exceptionally early retraction, as the next one was published in 2005. Thus, we analyzed 239 retractions (195 from journals and 44 from conference proceedings) published between 2005 and 3 August 2018 (but most were published after 2010), in terms of the following qualitative retraction-wise parameters: the main reason for retraction, authorship, a collaboration level, collaborating countries, sources of retraction (a journal or conference proceedings), and funding sources of the research. We also detected journals with high retraction frequencies. Mainly two phrases—“Retraction notice to” and “Retracted Article”—were used to retract publications. The most frequent reason for retractions was plagiarism. We would like to thank the anonymous referees for their valuable comments on the first version of the manuscript. Noorden, R. V. (2011). The reasons for retractions. http://blogs.nature.com/news/2011/10/the_reasons_for_retraction.html. Accessed August 21, 2018. R Core Team. (2018). R: A language and environment for statistical computing. R Foundation for Statistical Computing, Vienna, Austria. https://www.R-project.org/. Accessed December 19, 2019. Shan, J. (2017). Journal publisher removes Chinese articles. Global Times, April 21, 2017. http://www.globaltimes.cn/content/1043584.shtml.